Eyes of Lagos gathered that a group, the Yoruba Revolutionary Assembly, YORA, has described as uncharitable and politics taken too far, the call by the National Chairman of the Peoples Democratic Party, PDP, Prince Uche Secondus, for the sack of the Chairman of the Independent National Electoral Commission, INEC, Prof. Mahmood Yakubu. The group said it viewed Secondus’ call, where he demanded for the INEC boss’ resignation in order to guarantee a credible 2019 poll, as too ridiculous to be heard, from any serious political party, when elections are less than 80 days away. Speaking through its Secretary-General, Comrade Joseph Olarinde, YORA said the PDP should desist from the politicisation of serious issues such as the credibility of an election, alleging that credible election is an alien practice in the PDP. The group wondered why the PDP is so persistent about getting the INEC Chairman removed, even at a time when several other political parties, local and International organisations continue to repose their confidence on him, towards giving the country a free, fair and credible elections, and while other critical stakeholders are working with the commission towards ensuring a successful 2019 election. “We are really dismayed, over the inability of the PDP, to acknowledge the efforts and landmark achievements, that have been made by the INEC under the leadership of Professor Yakubu Mahmood, since assuming office as the head of the commission. “As patriotic Nigerians, we have observed the series of a well-funded and politically orchestrated falsehood and the campaign of calumny against INEC and it’s leadership from some politicians and ethnic champions. 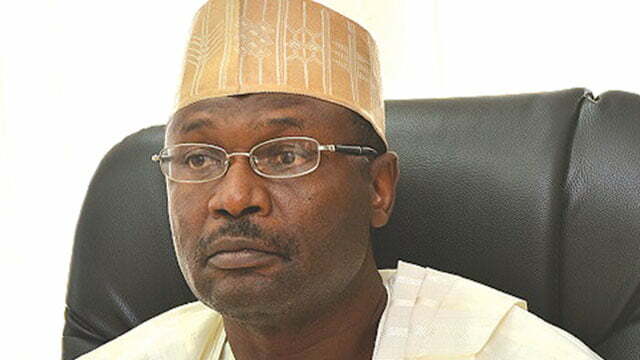 While it is an open secret that some unpatriotic politicians are hell-bent on discrediting the efforts of the Commission, we urge Nigerians to remain steadfast in their support and be rest assured, that coke 2019, INEC will deliver on its promises of a free, fair and credible elections,” the statement read. The group urged President Buhari to ignore the call to remove Mahmood, and urged Nigerians to keep supporting INEC as the nation marches towards the 2019 general elections.